Discover the benefits of white ambiance with this Philips Hue starter kit. Energize yourself in the morning with bright white light and switch to a warmer glow to relax in the evening. This smart lighting kit contains everything you need to get started - a Hue bridge and four White Ambiance bulbs. Get better answers with the Google Home Hub. Unlike normal voice-activated assistants, Google’s Hub responds to your questions by displaying answers on its 7’’ touchscreen display. In addition, the touchscreen works as your smart home control center. Get started with the included Philips Hue White Ambiance Starter Kit and control your home’s ambiance with your voice, perfect for brightening your holidays. The Google Home Hub plus Philips Hue White Ambiance Starter Kit is a power combo that will get your home going down a smart path. The compatibility between the two will help orient you in the world of smart devices, specifically smart lighting. And if thats not enough, the Google Home Hub contains numerous features that will make your life easier. The 7’’ touchscreen is an addition that takes voice assistants to the next level. Note: You need to use the included Phulips Hue Bridge for the bulbs to work. Effective voice control:By using the command ‘Hey Google,’ the Google Home Hub can help you with your schedules, the best route to work, and the day’s weather forecast. Its the perfect home aide. Assistance you can see:The Google Home’s Hub’s 7’’ LCD touchscreen display enables a visual assistant. Say you want to look up how to make a smoothie, use your voice to get a video displayed on the screen so you can follow along step by step. 50,000 shades of white:Pick from a variety of white shades, ranging from cool daylight to a warm, comfortable evening light. You can also explore Philip Hue’s pre-set light scenes for a range of light combinations. Smart home hub and smart app:The Google Home Hub can be your smart home’s center. Control all your smart devices from one place. To get even more overview, you can use the Google Home app too stay connected from wherever you are. Philips Hue app:In the Philips Hue app you can set up schedules, geofencing and control your lights when you're away frome home. Take the leap into a new world of opportunities with the Google Home Hub. The voice-activated assistant comes with a 7’’ touchscreen so you can get visual answers and control your whole smart home all in one place. This makes the included Philips Hue White Ambiance Starter Kit a fantastic addition, as you receive four white ambiance bulbs and the Philips Hue Bridge so you have a great foundation for smart lighting. The Google Home Hub is a home assistant that you can rely on. Its compatibility with hundreds of smart home brands makes it the perfect base for building out your smart home. The touchscreen is a unique feature that helps seamlessly integrate your smart home devices. You can be cooking in the kitchen and ask Google to turn up the brightness on your Philip Hue bulbs so you can see better. There's no need take out your phone or pull up an app, increasing convenience. You can set up the four bulbs anywhere in your home and take full control over brightness, scheduling, and presets so you always have your home lit perfectly. The Google Home Hub will help make your life easier. When you install your Hub, you can customize your profile so you can get custom greeting each morning. Google will tell you your schedule for the day, communicate reminders, and even tell you the fastest route to work. You can even coordinate your Philips Hue bulbs to stimulate a sunrise for your wake-up in the morning so you can wake up naturally and feel energized for the day. Simply plug in the Google Home Hub and the Philips hue Bridge to get full use of your devices. Both devices are responsive and work through their respective app or in unison. The Google Home app gives you an overview of all the different features of The Google Home Hub while the Philips Hue app lets you activate pre-set scenes and manage timers. The Google Home Hub lets you control the Philips Hue White Ambiance bulbs with your voice. 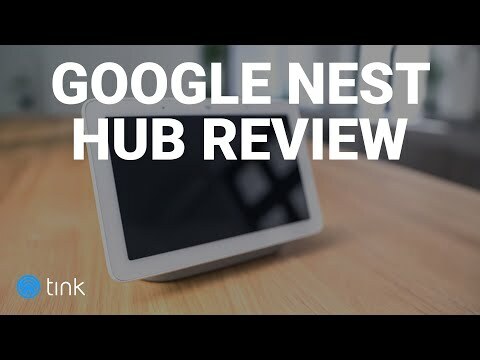 The Google Hub also contains several other great features for your home. The Google Home Hub will hear your voice through music. The Philips Hue can be controlled from anywhere using the Philips Hue app. The Google Homes is compact and lightweight making it easy to move. The Philips Hue bulbs has a classic light bulb design. Google is committed to keeping your home life private - the Home Hub only listens to what's going on when the word "Hey Google" is spoken. he smart control center only records your voice when the activation command "Hey Google" is used. Can I watch videos on the Google Home Hub’s touchscreen? Yes, you can watch and stream from several of the big platforms like Netflix, Youtube and HBO. Does the Philips Hue White Ambiance Starter Kit include a Philips Hue Bridge? Yes, the Philips Hue White Ambiance Starter Kit comes with a Philips Hue Bridge.